game of balance between human and God 's creation. Milan, 9-14 April 2019, Salone del Mobile. Nature has been the greatest source of inspiration for Savio Firmino since its foundation: the design-nature link has been very strong in the creative processes of the Florentine company. Reinterpreting it in complex and harmonious shapes, after contemplating its beauty, mystery and majesty, has allowed Savio Firmino to innovate the canons of classicism to become an international brand, recognizable in the world for its incomparable style. Nature acts as an inspiring muse, suggesting ideas, forms, grace; to Nature Savio Firmino is continuously inspired to develop decorations, geometries, lines, colors, operating principles, materials. 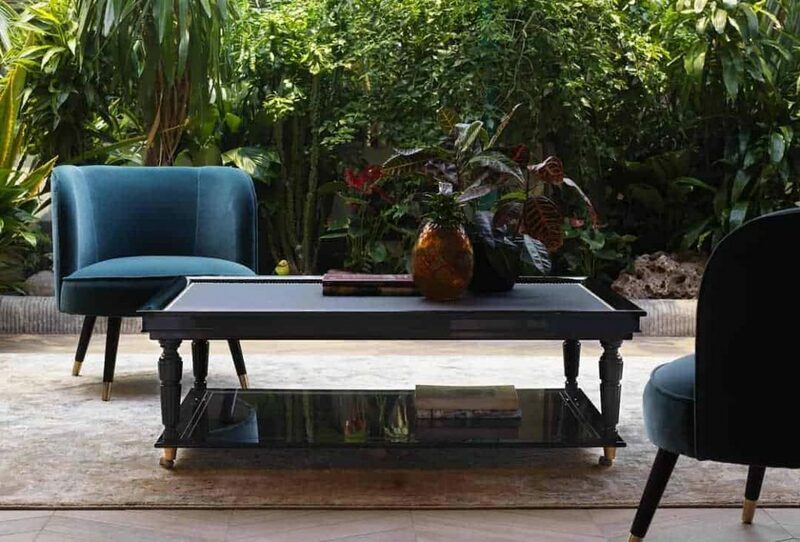 For the 59th edition of the Milan Furniture Fair, the company presents a collection that combines creativity and elegance, innovating once again the classical tradition. A journey that explores new mysterious and evocative world, of the silent woods and impenetrable jungle, which bring us to discover this new collection of handmade wonders "Wonder in the Jungle". The project concept that has as reference the new creations of Savio Firmino is in fact the nature, declined in its most and passionate expressions. The atmospheres of lush jungles and impenetrable forests are those that you can breathe in the new collection of the Florentine fashion house. The fabrics and the carvings of the furniture, call the reference to a primeval and uncontaminated Nature, dominated by fantastic depictions of tropical landscapes populated by exotic and ferocious animals. These visions are able to fascinate and influence the observer, recreating the suspended and dreamy atmosphere of fairy tales, thanks to the strong and fantastic component. The stand looks like in Wunderkammer, "Wonder room" or "Cabinet of curiosities" that characterized the homes of patrons from the 16th to the 18th century; the visitor can admire the new collections. A strong and decisive imagination that inspired the animal style of fashion in the 1950s, and that in recent years has revived the catwalks of the most prestigious brands. A style that is not easy, not obvious. An aesthetic language that can be expressed only with taste and moderation. Savio Firmino has researched the theme and found his key, creating a complete set What goes on stage at the Savio Firmino stand this year is a real show that will capture the visitor to make him a spectator of an experience journey The walls of the animal-style set will in fact be entirely made by the award-winning designer Kristjana Williams. Williams, born in Iceland and resident in London, has become a cult collector. The walls are enriched by the Hippogryph in Florence, custodians of an ancient and noble artisan tradition. The sensory experience goes beyond pure aesthetic fulfillment. To guarantee a total immersion of the visitor in this dream world, will contribute the "Wonder in the Jungle" fragrances designed for Savio Firmino by Edion and the audio system curated by Dedalica. Dedalica, has also developed a specific product for Savio Firmino: loudspeakers with an attractive design and high performance auditory, capable of combining extraordinary technological standards with the use of ancient and natural material such as terracotta, embellished with refined floral decorations in gold leaf. In this synergy, Savio Firmino is totally reflected in the link between tradition and the use of new technologies. Will be the visitor of the salon with Augmented and Virtual Reality projects at the limits of experimentation. The wines of the Borro winery allow guests to get away from the sylvan atmosphere and the flavors and aromas typical of the Tuscan countryside, dominated by a sweet and poetic nature to ideally cross-ride the back of a horse, the undisputed protagonist of the furniture area of ​​the little ones. As in the past edition, in fact, the organic Tuscan winery owned by Ferruccio Ferragamo, the Rosé del Borro 2018 and Pian Di Nova 2016. Finally the visitors will be able to touch and appreciate the magnificent artisan cut that has always ennobled the company & # 039; s production, but which is particularly enhanced by the jewel-beds, absolute protagonists of this year & # 039; s collection. In particular, the company will present a bed from which sculptures will come to life: butterflies, parrots, leaves, leopards all entirely handmade. Unique hand-painted pieces with vivid glazes that enhance the material dimensions, such as the Gate Bed, which forms the shape of a gate that seems to open towards a secret garden, a piece of furniture that marks a meeting point between art and design. In a historical period in the separation between man and nature becomes ever deeper, it is also appropriate in the creative path of every designer. This is why the company created a product in collaboration with designer Emanuele Magini. The visitor will physically and visually be part of nature, an animal among other animals. This is the philosophy that inspired Savio Firmino, giving life to a sort of "organic" furnishing that presents itself as a dialogue between ingenuity and nature, between human and Gods. Visiting the Savio Firmino stand at the 2019 Salone del Mobile means embarking on the journey into high decoration that has as its goal the very concept of beauty. 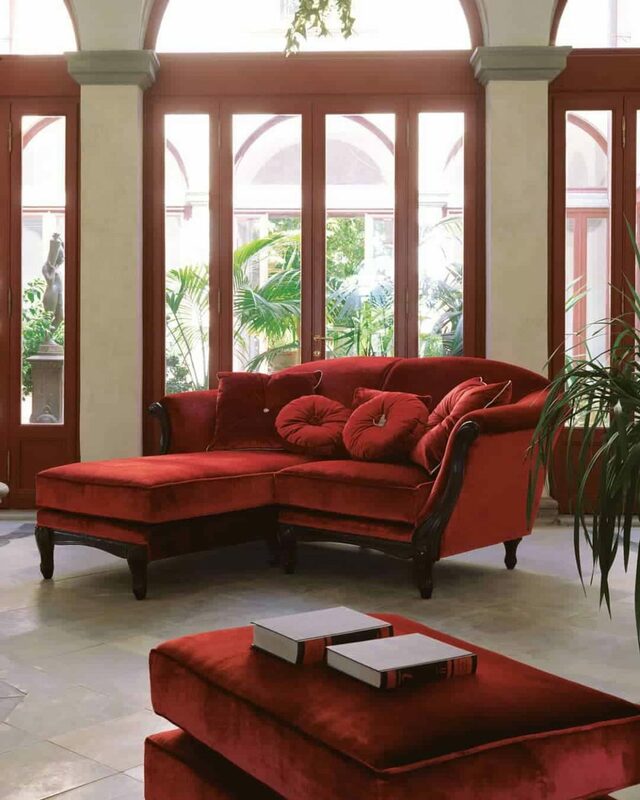 Da Vinci Lifestyle’s Contracts Division Leverages On Stellar Relationships With Over 200 International Luxury Furniture Brands To Fashion Furniture Brands Around The Globe. With An Extensive Range Of Products From Furniture, Lighting, Kitchens, Office Systems, Bath & Sanitary, To Flooring, Decoratives & Materials. Our Contracts Team Offers Creative And Bespoke Solutions To Briefs To Manage The Process From Conceptualization To Completion. Our Logistics Networks Worldwide Ensures Deliveries And Installations Are Kept Within Timeline Requirements That Are Crucial For Architects, Interior Designers And Property Owners For Residential, Commercial And Hospitality Projects. SAVIO FIRMINO: Red is just a way of living . . . ….